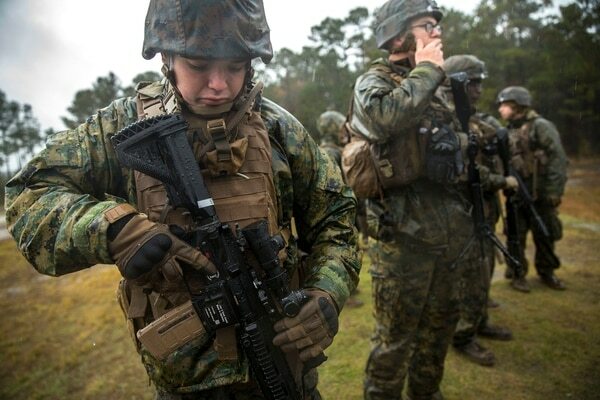 While thousands of grunts across the Marine Corps will soon be scrapping their M4s for the new, more powerful M27 rifles, don’t expect the Raiders to follow suit. The Marine Corps Forces Special Operations Command is taking a pass on the M27 after reviewing the new automatic rifle during its initial development. Simply put, the elite Marines were not impressed with the rifle’s ability plug any existing gaps in fire power and they found the weapon’s 16-inch barrel too long. “As of right now, the M27 doesn’t provide an additional capability or advantage over the M4A1 with SOCOM upper receiver group as the standard rifle carried by Raiders,” Maj. Nicholas Mannweiler, a Marine Corps Special Operations Command spokesman, told Marine Corps Times. 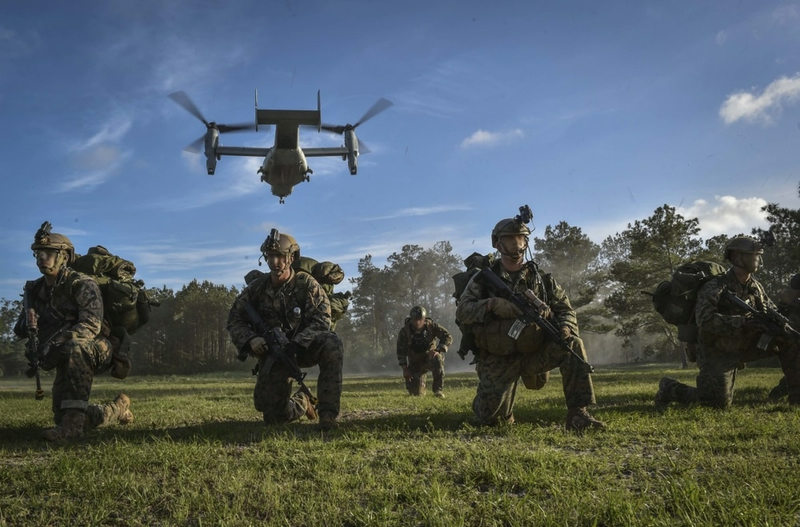 The development comes as Gen. Robert B. Neller, the Commandant of the Marine Corps, is pushing to replace the M4 with the M27 within the infantry forces. The M27, also known as the infantry automatic rifle, or IAR, was originally developed to replace the heavy, belt-fed M249 squad automatic weapon, or SAW, with a lighter, more portable automatic weapon system for the infantry. 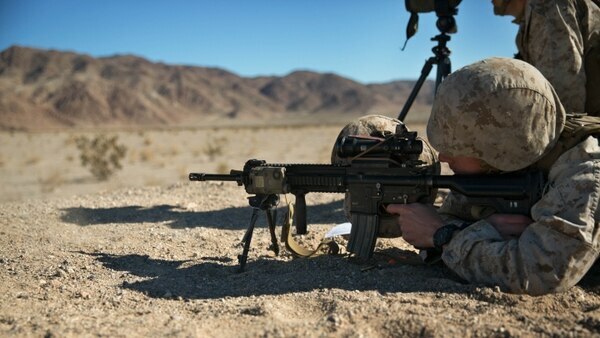 Now, the Marines’ use of the M27 is expanding to replace the M4 as the standard issued rifle to be carried by grunts because many Marine Corps officials believe the M27’s long barrel affords longer range and better accuracy than the M4. But the Raiders won’t be using it at all. That’s in part due to the difference in mission sets between the grunts and Marines with Special Operations Command. The M27 isn’t compatible with the Raiders’ need to field a shorter barrel and the IAR’s volume of fire isn’t suitable to how MARSOC employs its Raiders on the battlefield. “Given the smaller size of our operational units, the M249′s volume of fire provides a greater tactical benefit than the advantages provided by the M27,” Mannweiler said. And concerns about the barrel length is partly about tactics and how Raiders operate in confined urban environments or tight ship corridors. “The maneuverability and handling of the weapon in a confined space like a ship during VBSS [visit, board, search and seizure], or a tight building is benefited greatly with the shorter barrel,” a former Raider told Marine Corps Times. Marine special operators have a wide variety of mission sets beyond maritime ship interdictions and close quarters battle. That means the Marine commandos need a flexible carbine that can match specific operations. Currently Raiders use an M4 lower receiver, which is the trigger and housing, attached to a SOCOM-issued upper receiver, or barrel and bolt. This allows operators to mix and match their weapon system to meet various mission needs. On top of that, the Raiders are already rocking relatively new equipment. But, not all is lost. The Raiders are interested in the M38, which is the designated marksman version of the M27. The M38 was borne out of M27 as the Corps was looking for a rifle that could hit targets at distances of 600 yards or more, a lesson learned from operations in Iraq and Afghanistan. The Corps is on a major push to overhaul how its fundamental basic unit operates in battle. Unfortunately, the same problem with the M38 exists — SOCOM upper receiver groups are not compatible with an M27 lower receiver. And “testing is still needed to determine if the M27/M38 outperforms our current model M4A1 with USSOCOM upper receiver group,” Mannweiler said. MARSOC will continue to monitor developments of the M27/M38 and may field it in the future.